Sling meets in Aberystwyth take place on the first Thursday of every month in the Merchyd y Wawr building close to the old market hall. They typically run as a drop in session from 11am until 2pm. All are welcome to come along with a small door charge for non members to help with room hire costs. Tea, coffee and cake is always available. Very near to the train station and in the Barmouth Youth Centre you will find the Barmouth sling meet every month. Check on the Mid Wales Sling Co-operative for specific information regarding dates and times. 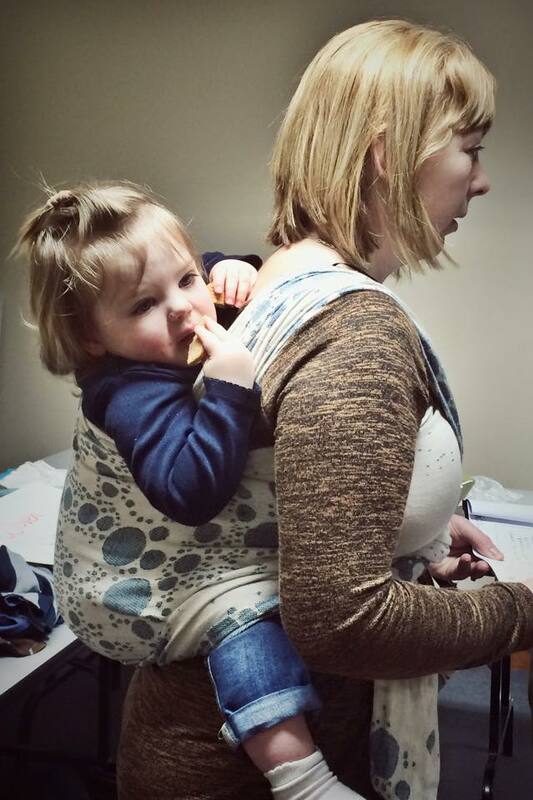 The newest meet arranged by Heart to Heart Babywearing is held in Dolgellau. For more information see the Mid Wales Sling Co-operative Facebook page. Meets in Borth take place at the family centre on Clarach Road from 1pm until 3pm. Tea, coffee and cake are usually provided with a small fee on the door to offset room costs. All are welcome and we have a selection of toys for children to play with. The meets in Newtown take place in the Integrated Family Centre on the outskirts of the town. There is ample parking and toys for babies and small children to play with. Other sling meets in mid Wales are provided in the border area by Shropshire Sling Library. More details can be found on their Facebook page.